Blake Baer has constructed a magnificent piece of Lego art! 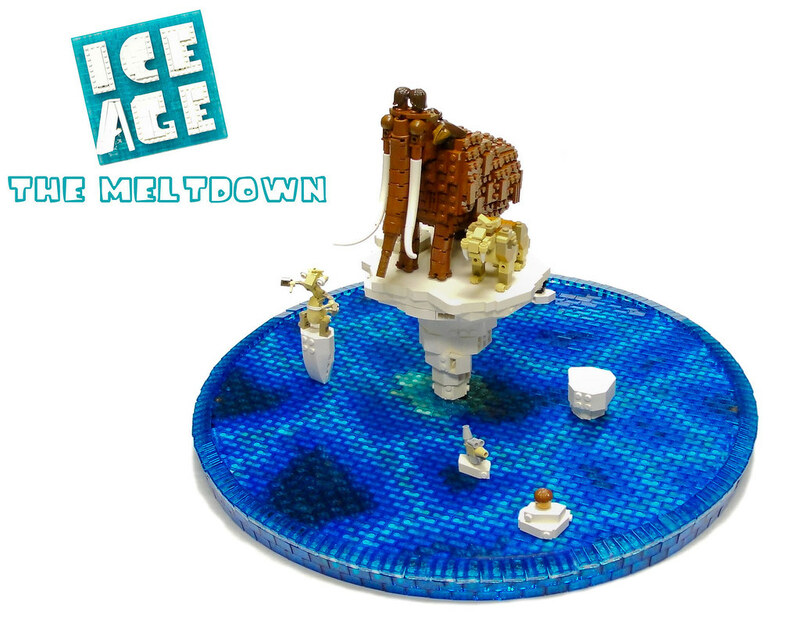 Solely based on the movie Ice Age 2, The Meltdown. The characters in this MOC are wonderfuly constructed, but what really stood out to me was the dazzling water fitted perfectly into a circular foundation. Check it out on Mocpages or Flickr. The Signing of the Magna Carta. A Roman Temple under attack. For the People, Freedom, and Honor! The Boat Challenge at Builders Anonymous. The hideout at Finder's Falls.